Meghan McCain's husband, Ben Domenech, slammed Twitter for letting a tweet stay up for hours that included an image doctored to show a gun pointed at Meghan McCain as she approached her father's casket. The account has since been suspended, Domenech said on Friday, but not until after he had to "raise a ruckus." On Thursday, Domenech, who is a conservative writer and contributor to CBS News, tweeted the screengrab of the doctored image of a gun pointed at Meghan McCain as she approached her father John McCain's casket. The original poster had written "America, this ones for you," according to the Arizona Republic. "Hey @jack, this has been up for half a day. It has been reported 100+ times. No response. Tell me why this is cool by you," Domenech wrote in the now-deleted tweet. Domenech later deleted that tweet when the account was suspended "so no one will have to see it." On Friday, Domenech slammed Twitter for letting it stay up for hours, writing that it was only after his "hours later tweet to finally get a reaction. Did not want to elevate it but that is what Twitter requires apparently." "Twitter finally suspended this account this morning," Domenech posted Friday. "No one should have to raise a ruckus or highlight this sort of thing publicly to get their attention." 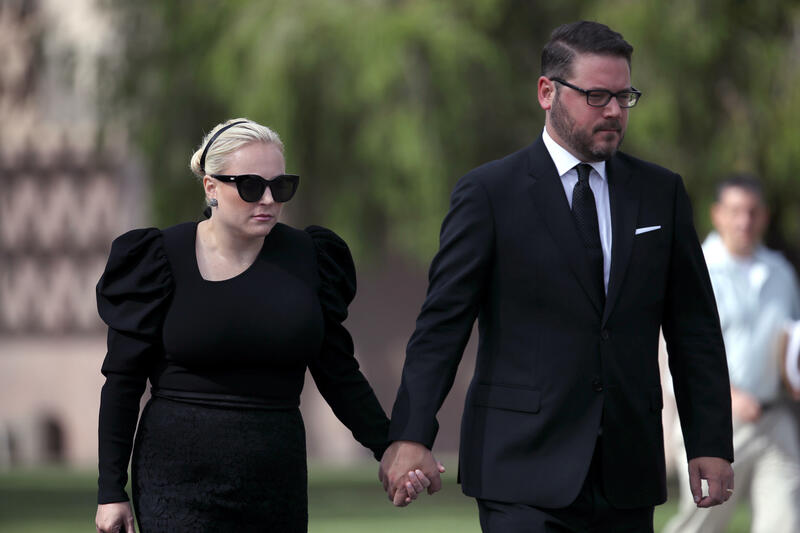 Meghan McCain was photographed overcome with emotion at her father's casket at a service on Wednesday. She said at a service at the National Cathedral on Saturday that "the best of John McCain, the greatest of his titles, and the most important of his roles was as a father. John McCain was defined by love." John McCain died on Aug. 25 at the age of 81.